For broader coverage of this topic, see Red. Varieties of the color red may differ in hue, chroma (also called saturation, intensity, or colorfulness) or lightness (or value, tone, or brightness), or in two or three of these qualities. Variations in value are also called tints and shades, a tint being a red or other hue mixed with white, a shade being mixed with black. A large selection of these various colors is shown below. At right is displayed the web color pink. Though many believe it is a light tint of red, pink is actually its own color. Pink is often considered to be a basic color term on its own. At right is displayed the color light red. Though very similar to pink, this shade of red is roughly 50% lighter than red. At right is displayed the pinkish tone of salmon that is called salmon in Crayola crayons. This color was introduced by Crayola in 1949. See the List of Crayola crayon colors. The color coral pink is displayed at right, a pinkish orange color. The web color salmon is displayed at right. It represents the color of the flesh of an average salmon. However, actual salmon flesh can range in hue from a light pinkish-orange to a bright red (as is the case with sockeye salmon). The color displayed at right, red (RGB), RGB red, or electric red (as opposed to pigment red, shown below) is the brightest possible red that can be reproduced on a computer monitor. This color is an approximation of an orangish red spectral color. It is one of the three primary colors of light in the RGB color model, along with green and blue. The three additive primaries in the RGB color system are the three colors of light chosen such as to provide the maximum gamut of colors that are capable of being represented on a computer or television set, at a reasonable expense of power. Portable devices such as mobile phones might have an even narrower gamut due to this purity–power tradeoff and their "red" may be less colorful and more orangish than the standard red of sRGB. This color is also the color called red in the X11 web colors, which were originally formulated in 1987. It is also called color wheel red. It is at precisely zero (360) degrees on the HSV color wheel, also known as the RGB color wheel (Image of RGB color wheel). Its complementary color is cyan. Pigment red is the color red that is achieved by mixing process (printer's) magenta and process (printer's) yellow in equal proportions. This is the color red that is shown in the diagram located at the bottom of the following website offering tintbooks for CMYK printing: . The purpose of the CMYK color system is to provide the maximum possible gamut of colors capable of being reproduced in printing. Psychedelic art made people used to brighter colors of red, and pigment colors or colored pencils called "true red" are produced by mixing pigment red with a tiny amount of white. The result approximates (with much less brightness that is possible on a computer screen) the electric red shown above. The color defined as red in the NCS or Natural Color System is shown at right (NCS 1080-R). The Natural Color System is a color system based on the four unique hues or psychological primary colors red, yellow, green, and blue. The NCS is based on the opponent process theory of vision. The color defined as red in the Munsell color system (Munsell 5R) is shown at right. The Munsell color system is a color space that specifies colors based on three color dimensions: hue, value (lightness), and chroma (color purity), spaced uniformly in three dimensions in the elongated oval at an angle shaped Munsell color solid according to the logarithmic scale which governs human perception. In order for all the colors to be spaced uniformly, it was found necessary to use a color wheel with five primary colors—red, yellow, green, blue, and purple. The color defined as red in Pantone is displayed at right. The source of this color is the Pantone Textile Paper eXtended (TPX) color list, color No. 032M—Red. The color defined as red in Crayola crayons is displayed at right. Red was one of the original colors formulated by Crayola in 1903. Scarlet is a bright red with a slightly orange tinge. According to surveys in Europe and the United States, scarlet and other bright shades of red are the colors most associated with courage, force, passion, heat, and joy. In the Roman Catholic Church, scarlet is the color worn by cardinals, and is associated with the blood of Christ and the Christian martyrs, and with sacrifice. At right is displayed the color imperial red. Imperial red is a representation of the red color of the Imperial Standard of Napoleon I. The first recorded use of imperial red as a color name in English was in 1914. Note: the RGB values for Pantone red and imperial red are identical. The name Indian red derives from the red laterite soil found in India, which is composed of naturally occurring iron oxides. The first recorded use of "Indian red" as a color term in English was in 1792. Spanish red is the color that is called rojo (the Spanish word for "red") in the Guía de coloraciones (Guide to colorations) by Rosa Gallego and Juan Carlos Sanz, a color dictionary published in 2005 that is widely popular in the Hispanophone realm. The color carmine is a saturated red. In its pigment form it mostly contains the red light with wavelengths longer than 600 nm, i.e. it is close to the extreme spectral red. This places it far beyond standard gamuts (both RGB and CMYK), and its given RGB value is a poor approximation only. Ruby is a color that is a representation of the color of the cut and polished ruby gemstone. Crimson is a strong, bright, deep red color combined with some blue or violet, resulting in a small degree of purple. The color rusty red is displayed at right. Rusty red is a color formulated by Crayola in 1990 as one of the colors in its Silver Swirls specialty box of metallic colors. It is a metallic color. A fire engine of the Greater Manchester Fire and Rescue Service. Fire engine red is an intense, bright red commonly used on emergency vehicles; mostly on fire engines, other associated fire service vehicles, and ambulances. Cardinal red, also called cardinal, is a vivid red, which gets its name from the cassocks worn by cardinals. 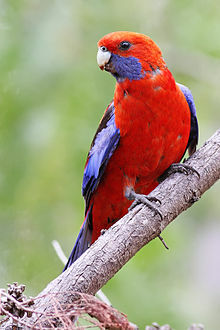 The family of birds takes its name from the color. 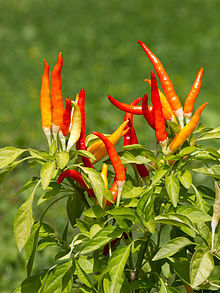 Chili red is the color of red chili peppers. It is the shade of red used in the flags of Chile and South Africa. Displayed at right is the university color Cornell red. Another name for this color is carnelian. Displayed at right is the web color fire brick. Displayed at right is the color madder. It is named for a dye produced from plants of the genus Rubia. The color redwood is displayed at right. 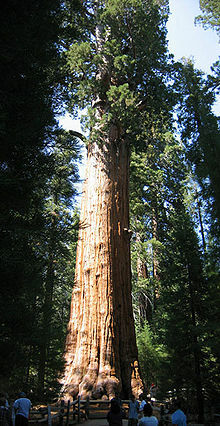 The color redwood is a representation of color of the wood of the redwood tree (Sequoia sempervirens). The first recorded use of redwood as a color name in English was in 1917. The source of this color is the Pantone Textile Paper eXtended (TPX) color list, color #18-1443—Redwood. OU crimson, along with cream, are the official colors for the University of Oklahoma, and its athletic teams, the Oklahoma Sooners. In the fall of 1895, May Overstreet was asked to chair a committee to select the colors of the university. The committee decided the colors should be crimson and cream and an elaborate display of the colors was draped above a platform before the student body. OU crimson is also an official color for the National Weather Center. Chocolate cosmos, or red cosmos is the color of Cosmos atrosanguineus species. The color is described as dark red, deep crimson, deeper burgundy, deep red chocolate, as dark hazelnut and velvety maroon. Displayed at right is the web color dark red. Displayed at right is the web color called maroon in HTML/CSS. Displayed at right is the color barn red. This is one of the colors on one of the milk paint color lists, paint colors formulated to reproduce the colors historically used on the American frontier and made, like those paints were, with milk. This color is mixed with various amounts of white paint to create any desired shade of the color barn red. Displayed at right is the color Turkey red. Turkey red is a color that was widely used to dye cotton in the 18th and 19th centuries. It was made using the root of the Rubia plant, through a long and laborious process. It originated in India or Turkey, and was brought to Europe in the 1740s. In France it was known as rouge d'Andrinople. 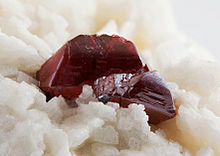 The color cinnabar derives from the mineral of the same name. It is a slightly orange shade of red, with variations ranging from bright scarlet to brick. The color of blood ranges from crimson to a dark brown-red and may have a slightly orange hue. In the RGB color spectrum, it often consists only of the color red, with no green or blue component; in the CMYK color model blood red has no cyan, and consists only of magenta and yellow with a small amount of black. It is frequently darker than both maroon and dark red. ^ "CSS Color Module Level 3". Retrieved 2 October 2016. ^ a b X11 rgb.txt Archived 2015-11-07 at the Wayback Machine. XFree86. (February 1994). Retrieved on 16 September 2008. ^ a b c d W3C TR CSS3 Color Module, HTML4 color keywords. W3C. (May 2003). Retrieved on 16 September 2008. ^ Forret, Peter. "RGB color converter - toolstud.io". Retrieved 2 October 2016. ^ The sRGB values are taken by converting the NCS color 1080-R using the "NCS Navigator" tool at the NCS website. ^ a b Forret, Peter. "RGB color converter - toolstud.io". Retrieved 2 October 2016. ^ Type the word "Red" into the indicated window on the Pantone Color Finder and the color will appear. ^ a b "Search - Find a PANTONE Color". Retrieved 2 October 2016. ^ The color displayed in the color box above matches the color called imperial red in the 1930 book by Maerz and Paul A Dictionary of Color New York:1930 McGraw-Hill; the color imperial red is displayed on page 27, Plate 2, Color Sample L11. ^ The color displayed in the color box above matches the color called ruby in the 1930 book by Maerz and Paul A Dictionary of Color New York:1930 McGraw-Hill; the color ruby is displayed on page 35, Plate 6, Color Sample G6. ^ "Fire Engine Red". FindTheBest.com. Retrieved 1 January 2014. ^ Type the word "Redwood" into the indicated window on the Pantone Color Finder and the color will appear. ^ "College of Atmospheric & Geographic Sciences" (PDF). Retrieved 2 October 2016. ^ Amamiya, K., & Iwashina, T. (2016). Qualitative and Quantitative Analysis of Flower Pigments in Chocolate Cosmos, Cosmos atrosanguineus, and its Hybrids. Natural Product Communications, 11(1), 77-78. ^ "Color Palette & Tinting Chart". Retrieved 2 October 2016. ^ Lowengard, Sarah (2006). The Creation of Color in Eighteenth-Century Europe. Columbia University Press. ^ a b Thom Poole (2017). Life of Colour. Lulu.com. p. 81. ISBN 978-1-326-65724-6.